Musings on project management: Square root of 2, and more! I started to tag this posting "trivia" but thought better of it. But I was interested to learn from John Baez, a mathematician of some renown, that the Babylonians had pretty much worked out the square root of 2, an irrational number not the ratio of anything, and they did it using a number system with base 60. Here's the proof, according to mathematician Baez. 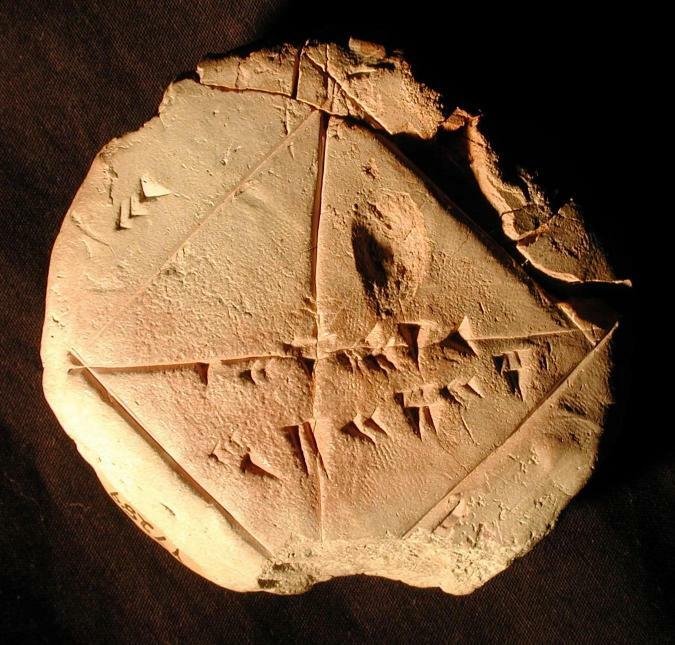 A tablet, written by a beginner because of the large lettering, has sides of length 1/2 (30 in base 60) and writing that shows the calculation of the diagonal to an excellent approximation of Sqrt(2)*1/2, or 1/Sqrt(2). Well, actually, there's no evidence that the Babylonians (now, Iraqis) ever knew about irrational numbers. They expressed everything in fractions and used approximations. And that by the way is the lesson for project managers: we live in the one-sigma world where a decent approximation is "good enough". A lot of really good project management gets along fine on approximations. We can leave to Dr Baez to give us the theoretical underpinnings!